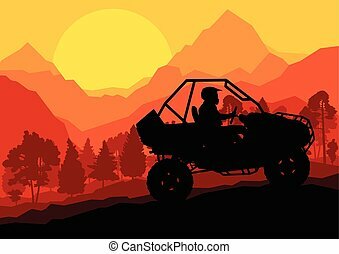 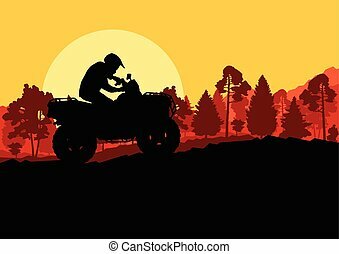 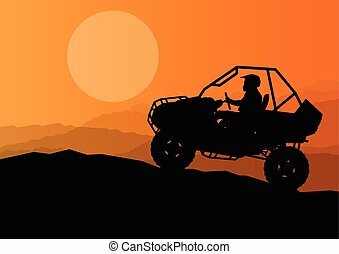 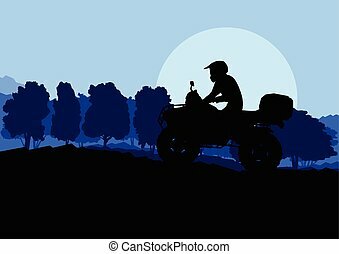 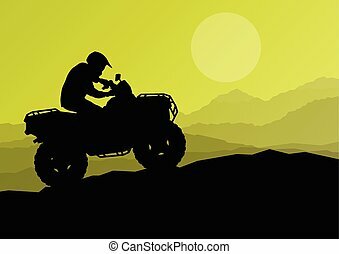 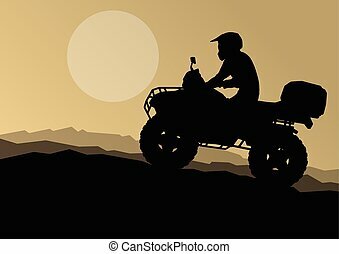 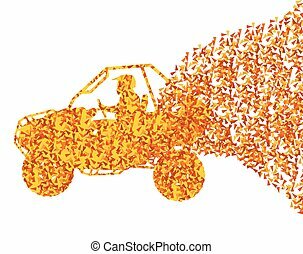 All terrain vehicle quad motorbike rider in wild nature background illustration vector. 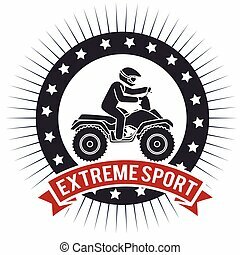 ATV vehicle logo and emblems. 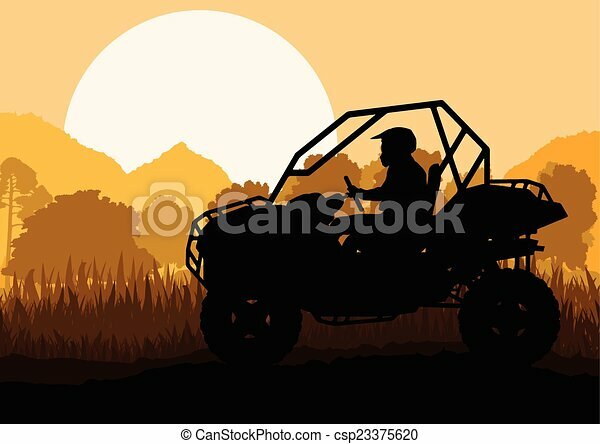 All-terrain 4x4 quad illustration. 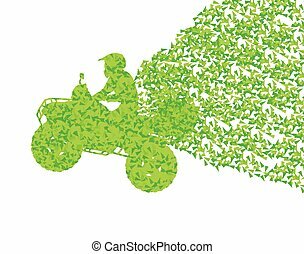 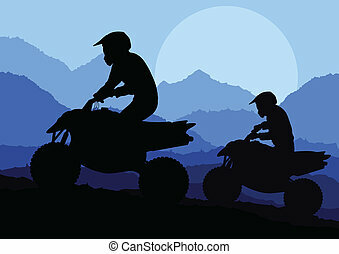 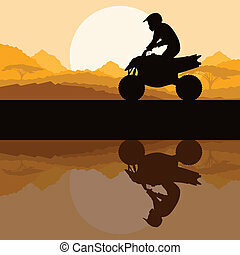 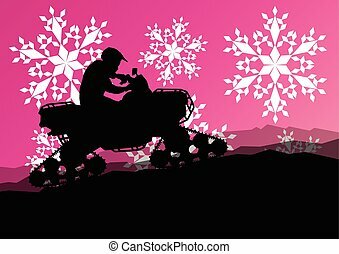 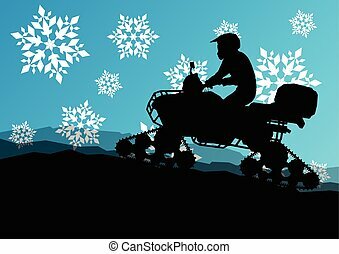 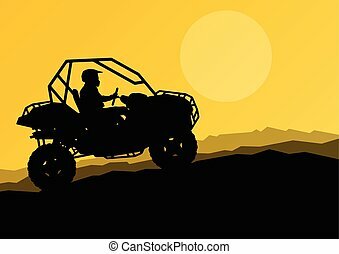 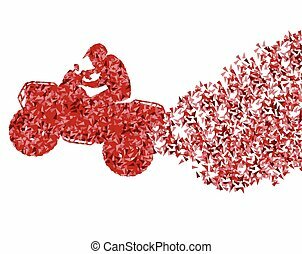 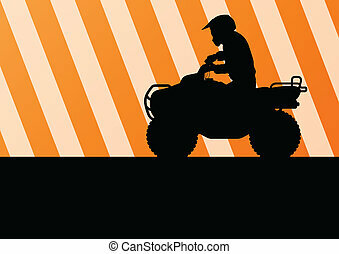 Vector illustration of young man riding quad bike. 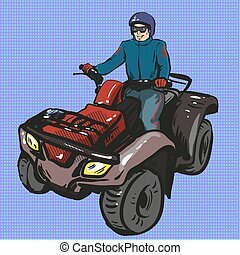 Biker and all terrain vehicle quad motorbike in retro pop art comic style.